Inglis House is a unique resource in the region and indeed, the country. Our residents come from all over the United States to experience the best possible care and sense of community available here. Some residents come to Inglis House for a short period of time. 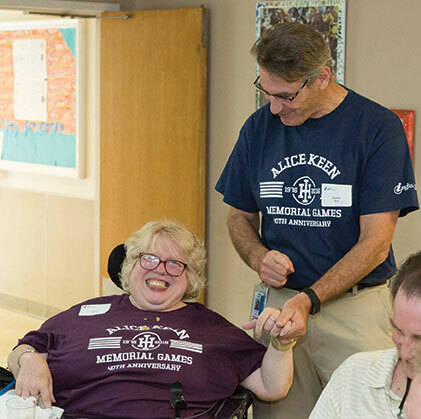 They benefit from therapy, computer training and medical care that can help them move into an apartment of their own. Others live here for much of their adult lives. 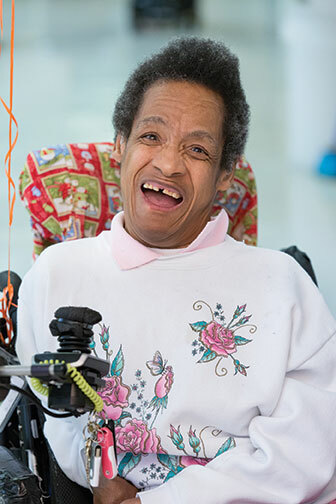 Meet our longest-term Inglis House residents and consumers who have made the transition to independent living. Gina came to live at Inglis in 1973 at the age of 25. “It was a step I knew was good for me because Inglis House gives me the opportunity to enrich my life ‘to the fullest,’” she says. Gina has worked in our mailroom and been a volunteer chaplain. She is an enthusiastic Inglis ambassador, helping visitors to better understand the needs of people living with disabilities. “I am so glad I came here,” she says. Meet former Inglis House residents who have achieved the dream of living independently in their own homes. Tim lived at Inglis House during two separate periods of his life. Each time, he knew it would not be for long. 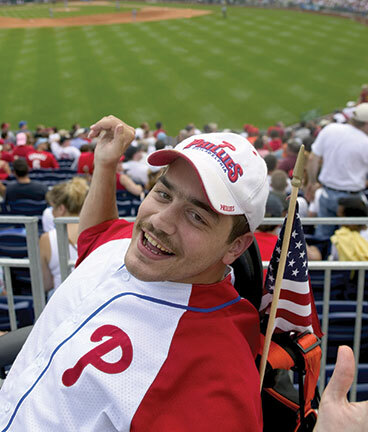 “I knew I could live independently, and I always do what I say I am going to do,” he says. Tim has been living independently since 2010 and recently moved to a new apartment that allows him to be closer to his large, loving family. When Jaleel was eight, a stray bullet left him without the use of his legs. In 2005, after spending a year at Inglis House after high school, he felt ready to tackle living independently. 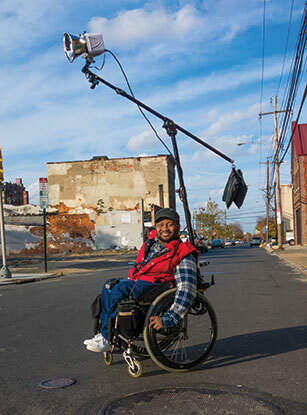 While taking a videography class, Jaleel found a passion for photography. Now, he is a successful wedding/lifestyle photographer and loves telling stories with his photographs. 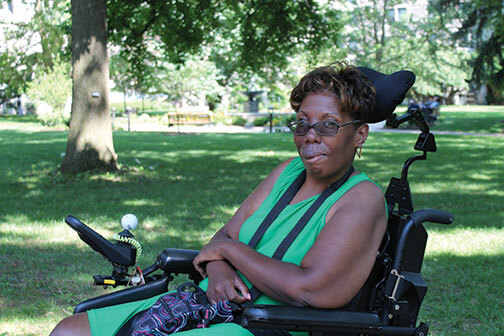 Now, she passes her determination along to others by serving as a resource for Inglis House residents who want to live in the community.